The ESPN personality and former WWE announcer danced with The New Day. 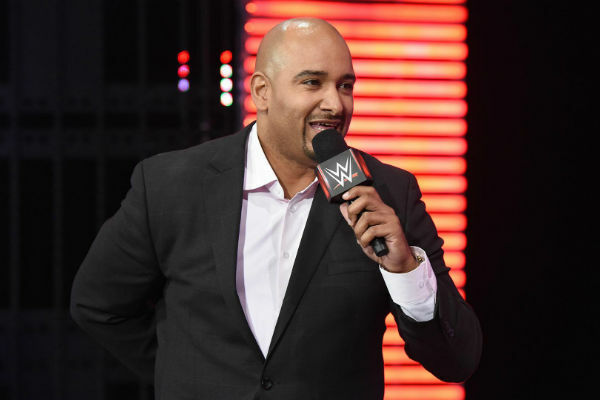 Former WWE announcer, and current ESPN personality, Jonathan Coachman made his return to WWE television on Monday evening during RAW. 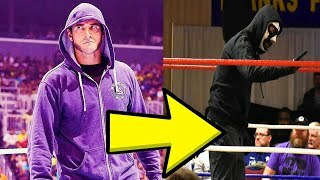 Coachman returned following a match between Kofi Kingston and Alberto Del Rio which served the purpose of building up the tag team title match between the League of Nations and The New Day at WrestleMania 32 this Sunday. Kingston won the match after Del Rio tried to lock in a cross-arm breaker and Kingston rolled through it into a pinfall. As New Day celebrated on the ramp, out walked Coachman from behind the curtain. He announced that once again, ESPN's SportsCenter will be live at WrestleMania this year. The top sports network in the world will do live cut-ins and interview segments throughout the day on Sunday until WrestleMania starts. Coachman also hyped up the New Day themselves, revealing that he was holding a box of "Booty-o's" behind his back. He then announced he's always wanted to dance with the New Day, and he ended the segment dancing with the trio. https://twitter.com/WWEUniverse/status/714626466038722560 WWE also announced during RAW that ESPN will feature two WWE segments on Tuesday. Triple H will guest in the usual Tuesday evening interview spot during the evening SportsCenter on ESPN News, but they will also be interviewing Stephanie McMahon on Tuesday during the morning edition of SportsCenter to help promote WrestleMania.